Today I’m teaming up with some of my food blogging friends to throw a virtual baby shower for our friend Stephanie of Sustaining the Powers. 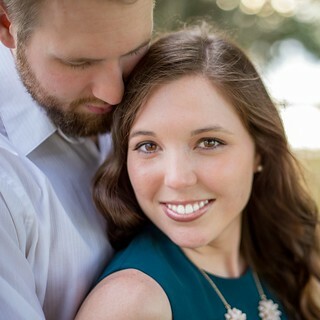 Since we are located all over the country and can’t get together for her baby shower, we each created a special recipe to share on our blogs today. 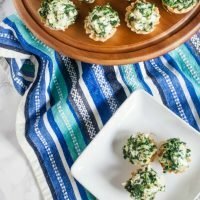 I made one of my favorite appetizers, Spinach and Artichoke Phyllo Bites! 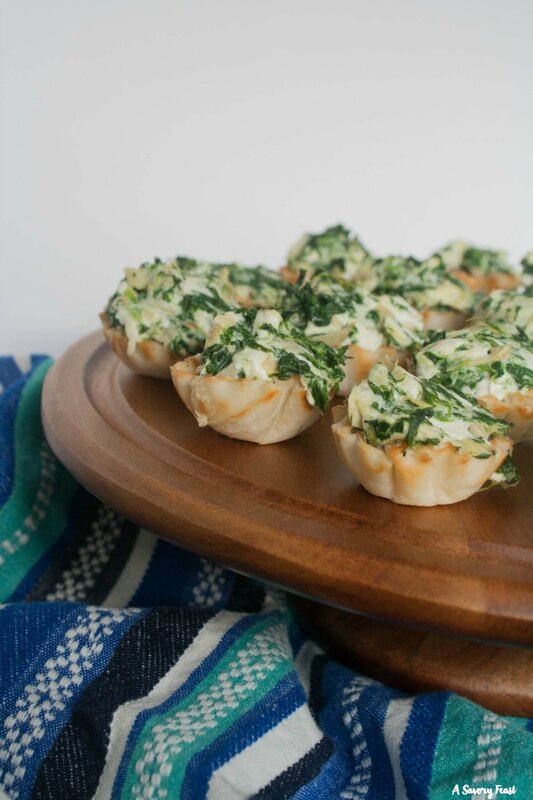 These little bites are a hit whenever I make them. They are made from just a few easy ingredients. 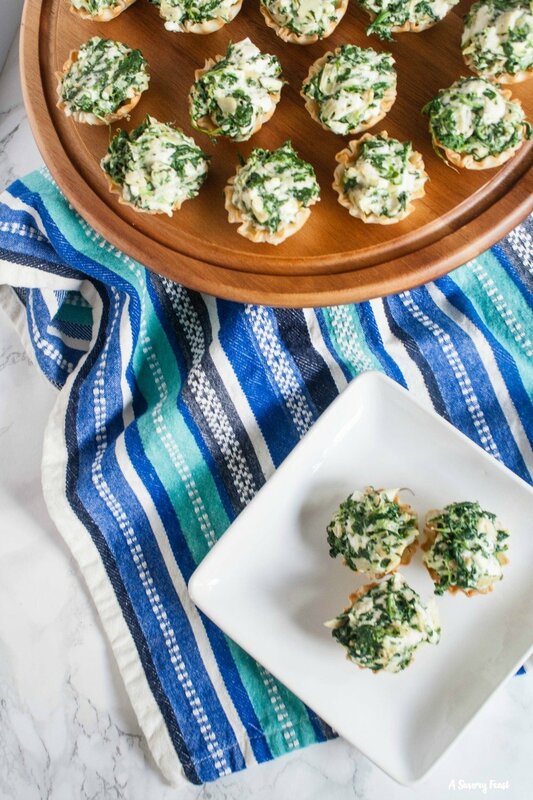 It only takes a couple minutes of prep to mix up the spinach and artichoke filling and assemble the bites. They are cooked and ready to serve in about 10 minutes! 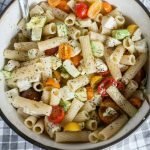 You can prep them ahead of time and cook just before your guests arrive. Like I mentioned above, it’s easy to prep these bites ahead of time. I’ve done this several times and they turn out just as good as if you mix them right before cooking. 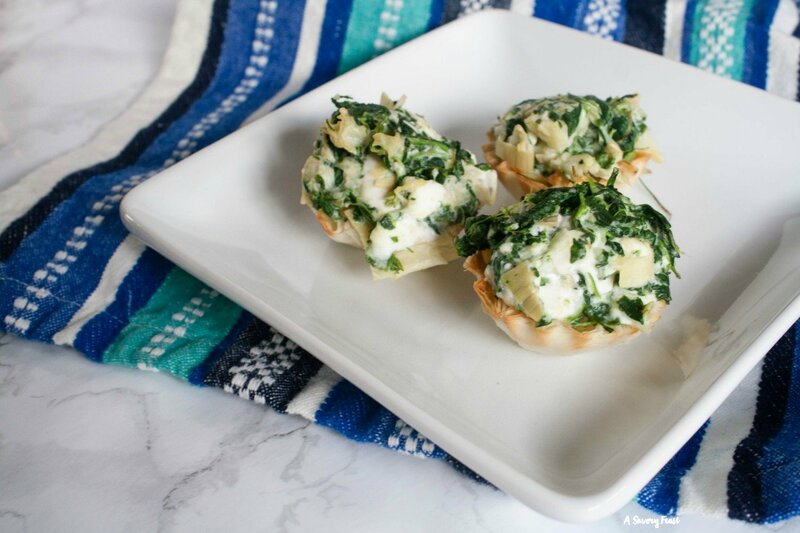 All you need to do is mix up the filling, spoon it into the cups and put them in the fridge. 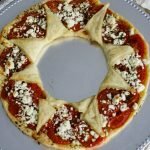 In a few hours when you are ready to cook them, just preheat the oven and take them out of the fridge and into the oven. 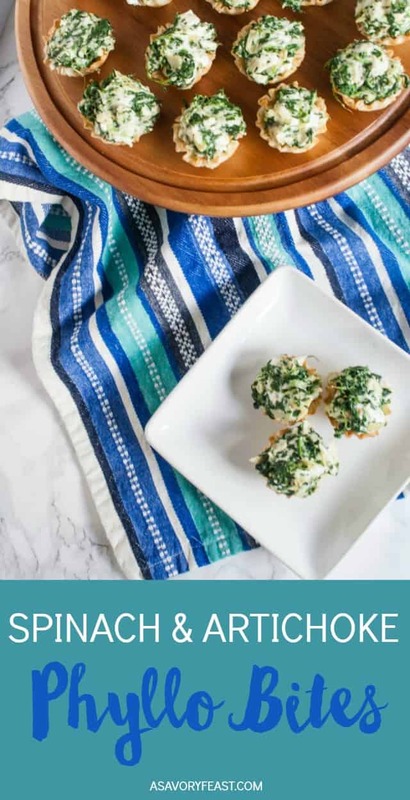 These bites are also great because they aren’t messy and they are already in easy, individual portions. 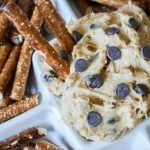 So next time you are throwing a shower or party, be sure to add these tasty bites to your menu! 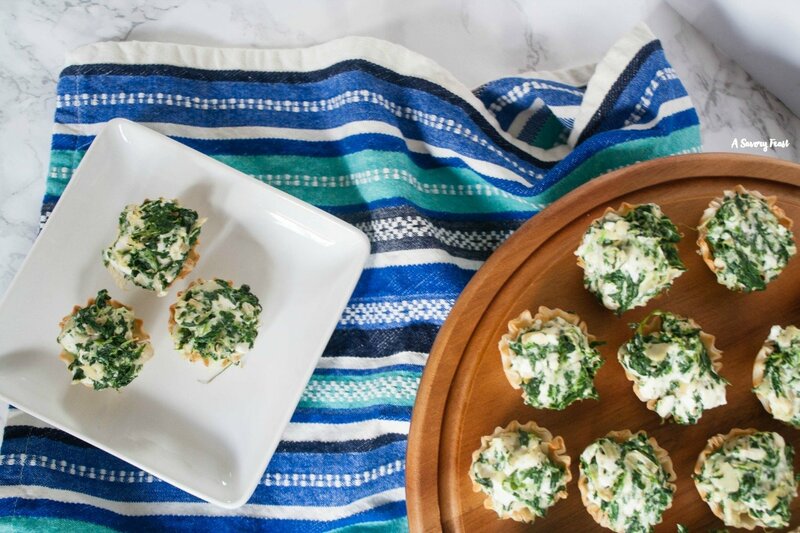 These tasty Spinach and Artichoke Phyllo Bites will disappear wherever you serve them! Great for parties, showers or entertaining friends. 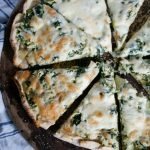 You'll love how easy they are to make, too! 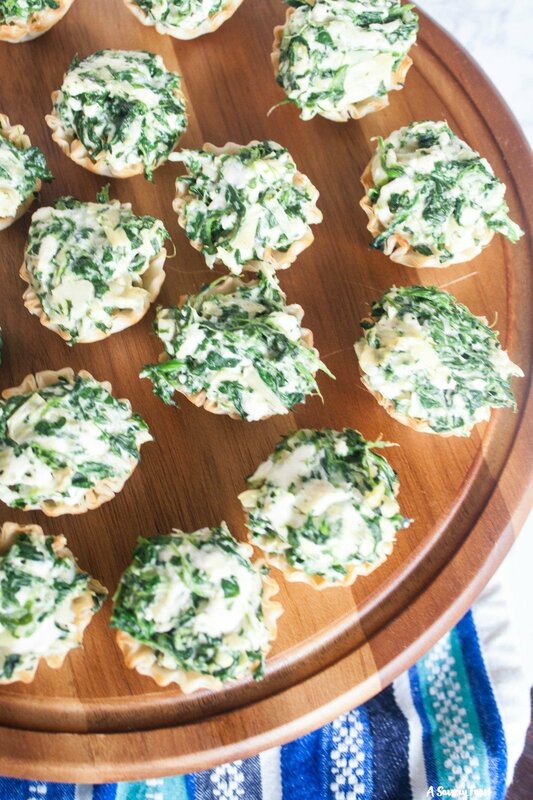 In a medium bowl, mix together the cream cheese, parmesan cheese, sour cream, mozzarella cheese, frozen spinach, artichoke hearts, salt and pepper. Stir until everything is completely mixed together. Spoon a heaping tablespoon-full of the mixture into each frozen phyllo dough shell. Place each filled shell on a baking sheet, close together so they don't tip over. Bake for 10-12 minutes or until filling is hot and shell is browned.